The Sphynx cat is centuries old and is one hell of a majestic looking cat. It comes in many different breeds of which the Canadian is a common type and the ancestor to the majority of Sphynx cat. The Canadian Sphynx is descended from a black and white domestic shorthair queen. 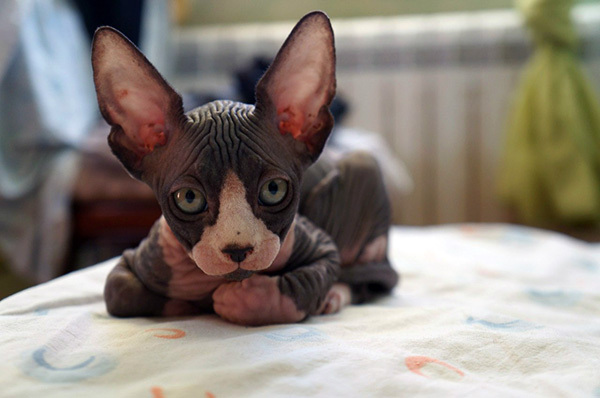 The Sphynx itself is around 100 years old and is a popular type of hairless cat amongst the breeds. The modern Sphynx cat can be dated back to a breeding pair in North America in the 1970’s however these beautiful and unusual looking cats have been around all throughout history. The hairless breed gained popularity in Europe in the 1960’s when cat breeders first began working on gene research to produce a hairless cat. These cats were often called Moonstones due to their shiny hairless look. 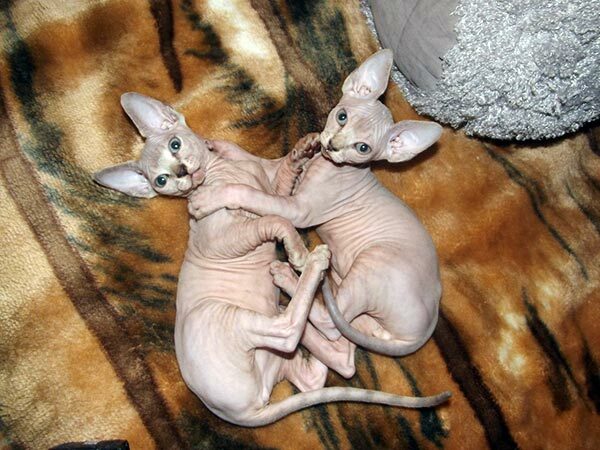 Modern hairless cats are born hairless. This is due to the recessive gene for hair being present as a result of breeding and genetic engineering. Naturally occurring Sphynx cats date back to the mid 1970’s and this breed has gained popularity in Europe and the Americas quite rapidly since it was first conceived. The breed is monitored by the Cat Fanciers Association as well as other organisations across the globe and to get a true Sphynx cat it is important that they are registered with this type of agency. This will ensure their authenticity. The Sphynx is characterised by its lack of coat and is available in a range of different markings and colourings which are found on their skin such as solid colour or point colour; Sphynx cats can also be tortoiseshell or tabby. 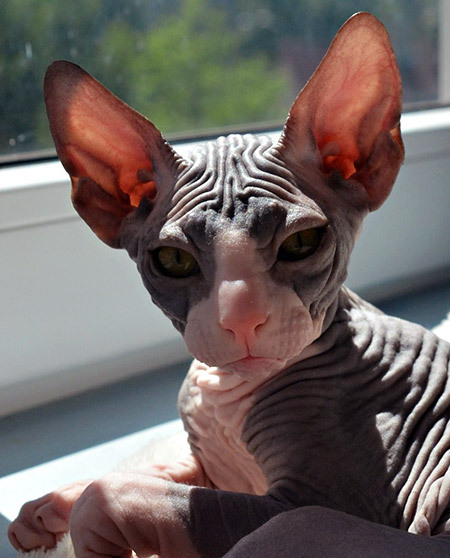 Some types of Sphynx do not have whiskers or eyebrows and this is breed specific. They have triangular shaped heads and often have thick set bodies with a rounded and full belly. These portly bellies have been termed within the breed ‘pot bellies’. The temperament and behaviour of the hairless cat is important when looking at Sphynx cats for sale. This is a very intelligent and curious breed. They are highly enthusiastic and energetic as well as being extremely loving and affectionate to their owners as well as to other cats. Spending some time with the cat or kitten is a good idea when looking to buy such cat. Sphynx cats take a surprising amount of maintenance and despite their hairless coat this breed of cat needs regular grooming. 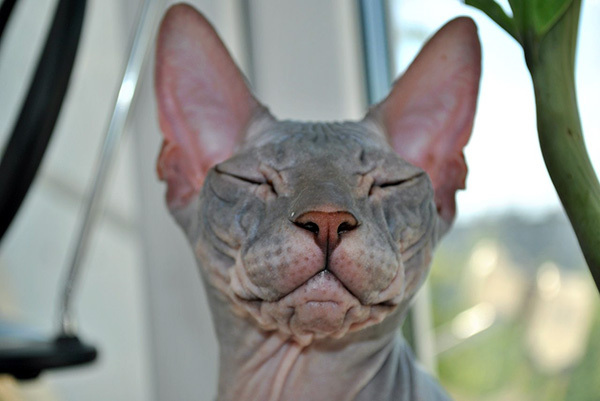 It is usually necessary to bathe your Sphynx cat on a weekly basis to clean the naturally occurring oils on their skin. This oil would ordinarily be used to coat the hair which is missing in hairless cats and as a result can build up on the Sphynx’s coat. This can make the cat become dirty quite easily. These cats do tend to be clean animals and do groom themselves. Care must also be taken with hairless cats during hot weather as they skin does have a tendency to burn; these cats should never be let outside unattended and can also be very affected by cold weather.